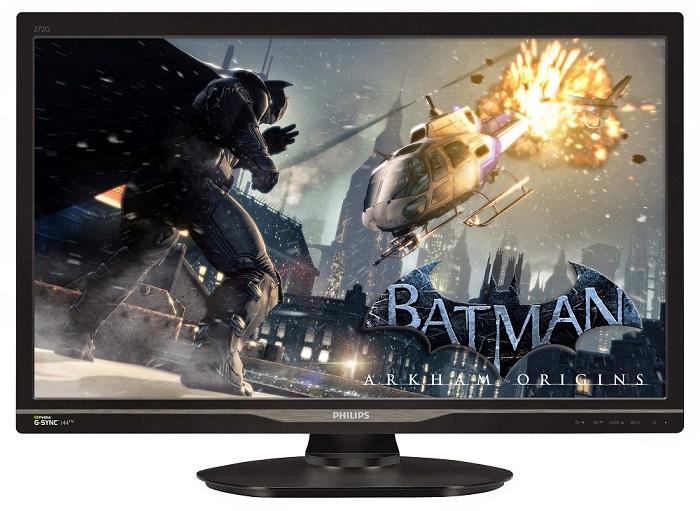 The most popular and cost-effective resolution for gaming monitors is 1,920 x 1,080 even if it no longer wields 'high-end' status in the current display market. High-resolution WQHD and UHD displays have started to proliferate in the second half of 2014 but are still relatively rare and difficult to drive at playable framerates without high-end graphics hardware. Display vendors are instead seeking ways to inject new life into established technology - something Philips has tried with the 272G5DYEB, the focus of today's review. At 27in in size the 272G5DYEB monitor, which comes under the Philips 'Brilliance' range, pushes 1080p to its limits. For some the monitor may already be too big for such a modest resolution, however Philips intends to win gamers over with an array of attractive features. A smart trio of Nvidia G-Sync support, a 144Hz refresh rate and a 1ms response-time means the 272G5DYEB ticks all the right boxes for a gaming monitor. These features elevate the cost to a £500 MSRP, which situates it rather close to the WQHD-equipped ASUS PG278Q ROG Swift that can be had for around 30 per cent more... so does the 272G5DYEB have any tricks up its sleeves? 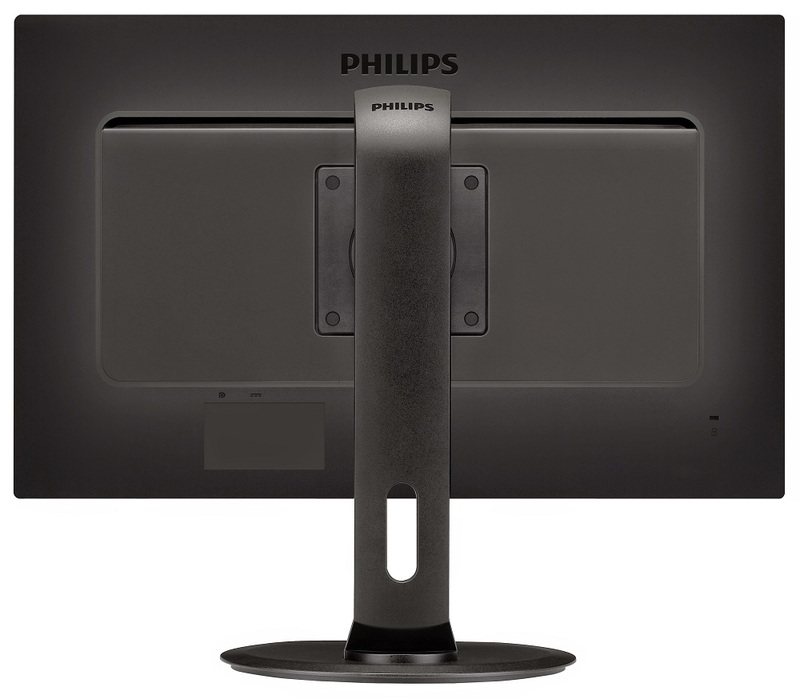 As far as displays go the 272G5DYEB from Philips has a neutral and subdued design. It doesn't look cheap and clunky, but neither does it have the sleek lines and thin bezels needed to be classified as classy. Great attention has been paid to the stand which comes with the full selection of adjustment options - height, pivot, swivel and tilt. Such adjustments, we find, are essential on TN-based designs with limited viewing angles. The stand can be replaced with a 10cm-by-10cm VESA-compatible mount of the user's choice. 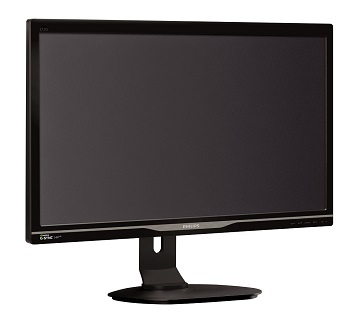 Display connectivity is typically limited for a G-Sync display, with just a single DisplayPort 1.2 port. While this does strictly limit the connectivity options for this monitor, it also makes a great deal of sense since G-Sync currently works over DisplayPort alone. Interestingly, Philips has decided to equip a USB 3.0 hub around the side of the display. Whether or not this is a necessary inclusion for gamers merits debate, but it's a useful inclusion nonetheless. The power supply is externally located within a modestly-sized power brick, and as such, the monitor draws power through a laptop-style connector.